experience of being a part of Japanese beautiful culture. A wide-open atmosphere will await you in this very unique flat type. Enjoy the elegant views of the courtyard through the Japanese style room and the dining room. Naguri Processing which is quite essential process for Japanese traditional architecture has been incorporated into the wall of the bedroom. 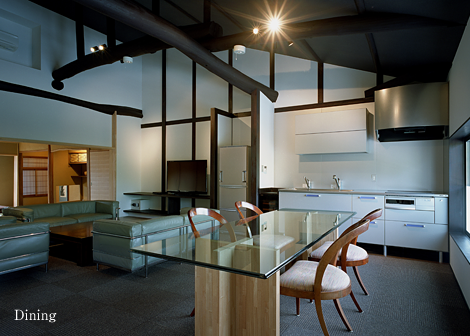 You will cherish and enjoy this unique Japanese space which a general hotel cannot provide. 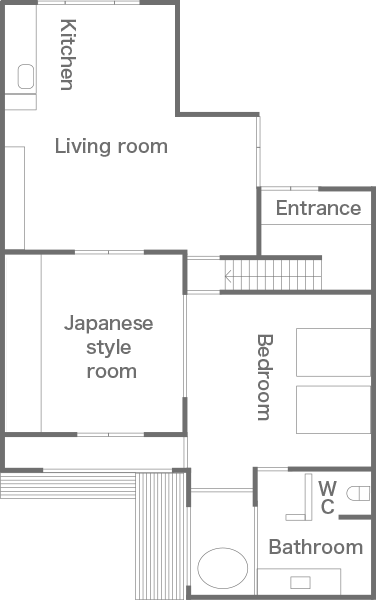 Upstairs, you will be surprised with high-ceilings in the living room.Japanese wooden crossbeams -Gorombo- and traditional furniture gives a profound feeling,as well as stylish furniture,such as the checkered pattern wall of bedroom will create a Japanese modern impression. The historical building and its modern touches create a juxtaposition of comfort and culture. 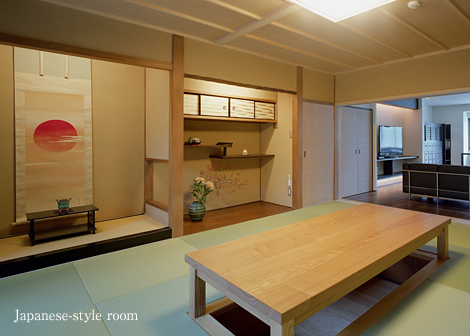 Open space from the entrance through to the Japanese room gives a view of the tatami floor that is absolutely peaceful. You can enjoy beautiful red leaves in the courtyard in the autumn from the Japanese style room and even the bathroom. Moreover,from kitchen windows upstairs you can see a view of the Southwest scaffold of Nijo castle, a world heritage. Feel the luxury and relaxation during bath time with the biggest courtyard of all.The cherry blossoms are breathtakingly beautiful in the spring. You can also feel the comfort of the Japanese tatami floor. When you go upstairs the modern style is completely different from the Japanese traditional style of downstairs.Enjoy the beauty that is created by its difference and the fusion of Japanese modern style. The blue wall will remind you of the night sky when you enter the doorstep.The living / dining room on the first floor is decorated with a calm and brown based color. Help yourself at home on the soft and comfortable sofa.Windows in the bathroom with a jacuzzi are capable to fully open, so that you can relax and enjoy by looking at a small authentic Japanese garden as if you are in an outdoor bath. 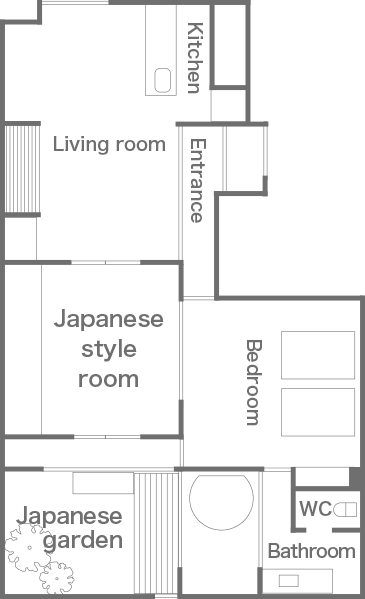 On the second floor, there is a main bedroom and a Japanese-style room, FUTON will be set for 3rd and 4th guests in Jpanese room. A red wall warmly welcomes you, reminiscent of rose petals.The living / dining room on the first floor are colored in black and white and stylishly designed.In the small garden, there are Tsukubai (a stone water basin), Japanese lantern, Tobiishi (stepping stones), which makes you feel that you are in the calm temple.A comfortable sound of water drops gently drips from Shishiotoshi (a bamboo water supply). It would be fantastic to watch the water waver reflected by moonlight.On the second floor, two Simmons queen beds are set in a main bedroom to let you have a peaceful sleep. ※Free Wi-Fi and LAN cable. ※Steam iron, ironing board, a rice cooker, cordless cleaner can be rent. 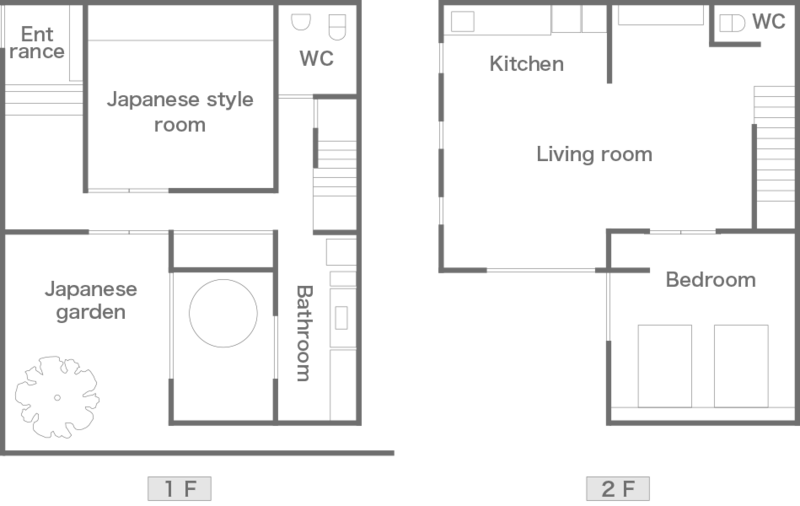 ※Please prepare your own groceries & seasonings..
※ Maximum number of people per room is 4 persons. 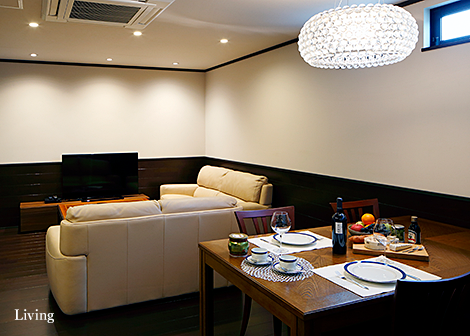 ※ We have 10% discount for guests with consecutive stay. ※ Unfortunately we don't accept accommodation of children under 13 years old. 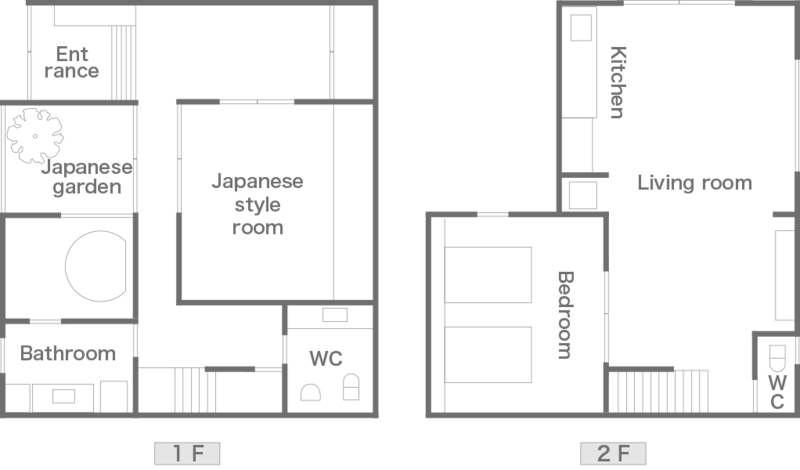 ※ In Kyoto city, a new accommodation tax will be implemented starting October 1,2018.There is an additional charge for accommodation tax. 30% of accommodation fee when the notice within 14-2 days prior to the arrival date. 50% of accommodation fee 1 day before the arrival date. 100% of accommodation fee on the arrival date or no-show. ※ In the case you will not be able to come to USAGI, which is caused by natural disaster or stop of public transportation, please make sure to contact us in order to inform us about your situation. ※If you are coming by Taxi, please show below to a taxi driver. Please read the terms of service before booking. Due to every building of Kyo-yado USAGI is renovated wooden house,Please understand Smoking and flammable materials are strictly prohibited in whole area, even the courtyard, and entrance area. We provide the soundproofing but it is limited since USAGI is wooden house.Please no running around and be careful of loud conversation. Especially we would like to kindly ask the customer who is staying upstairs "OSORA" to be very careful, loud sounds can easily go through to downstairs. If by any chance　your stay would trouble to other guest or neighbor, necessarily we will ask you to leave. (In that case the charge once paid will not be refunded.) Thank you very much for your understanding and cooperation in advance. Kindly make a call in advance to let us know your estimated arrival time for check-in, as well as, in case if you would be late under any circumstances. In any case we will close the reception on 10:00pm. We are afraid the time extension is not accepted. We are very sorry but we don't accept accommodation of under 13 years old. We do not have a child rate.Since USAGI is wooden traditional Japanese house the any sound or noise can be easily heard. We apologize for this inconvenience but thank you for your understanding and cooperation in advance. 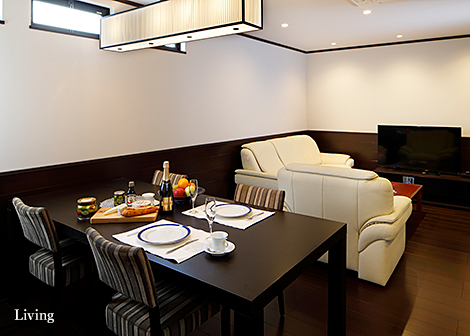 We don't have a restaurant in Kyo-yado USAGI but there is kitchen in every room. Also we have several plans with dinner. (Please check our Plan&Reservation page.) If you would like to make reservations at a restaurant, please contact the concierge.It is our pleasure to help you. 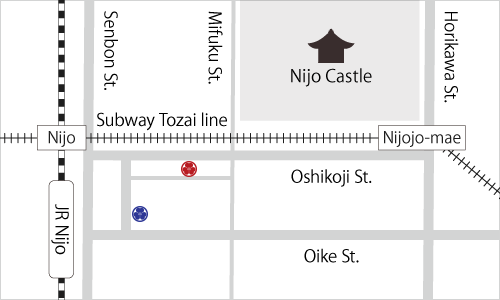 The rooms "OHOSHI" and "OHANA" of Kyo-yado USAGI Bettei are located 3-minute walk from Kyo-yado USAGI, the main building. If you'd like to book two or more rooms as a group, kindly consider the location issue. You can surely make a reservation directly from this web page or by phone. All roomcharges must be in advance. Payment method is by credit card only; VISA, MASTER, AMEX, JCB, DINERS. Booking by credit card will be confirmed and settled upon the completion of the reservation. Please note that you will be charged the cancellation fee if you cancel your reservation after the reservation is settled. Please refer to cancelation policy. Please be sure a fee will be charged if there is a cancellation 14 days before check in day.Also if you need to modify your reservation or the number of people, please let us know as soon as possible.The charge differs depending on the number of guests, you might be charged an additional charge. 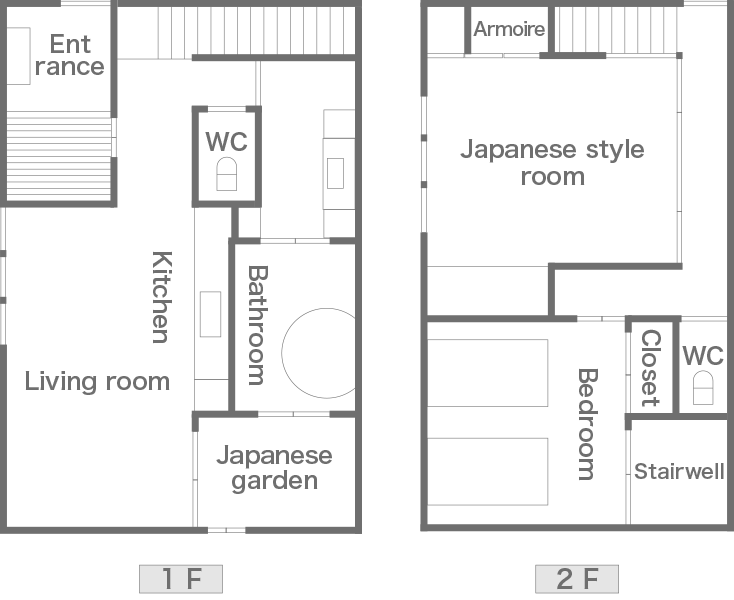 Maximum 4 people can stay in 1 room. We cannot accept more than 4 people in every room. In Kyo-yado USAGI, the charge differs depending on the number of guests. 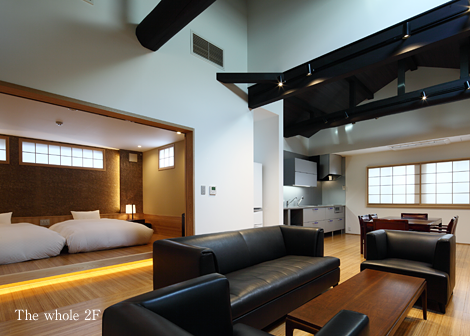 Only registered guests can stay at Kyo-yado USAGI, we will refuse the stay of unregistered persons. Staying with pets is not acceptable. Luggage storage is available before Check-In from 12:00pm on your accommodation day. Be sure to send your luggage to our hotel between 12:00pm-6:00pm. Also, kindly let us know your arrival time in advance via email or phone call. Please do not send luggage earlier than your accommodation day, because we have no space to keep it. If you would like to send your luggage, please contact us first and then arrange to send it after 12:00pm on your accommodation day with a fixed date. There is a parking lot near by Kyo-yado USAGI. We shall bear expenses.Please let us know when you make a reservation of your parking needs and contact us when you arrive. We don't have daily room cleaning service but on the 3rd day the room will be cleaned. We have the brief cleaning service to collect trash and change the towels every day. If you don't need the brief cleaning service, please let us know in advance. There are only 2 beds in every room. 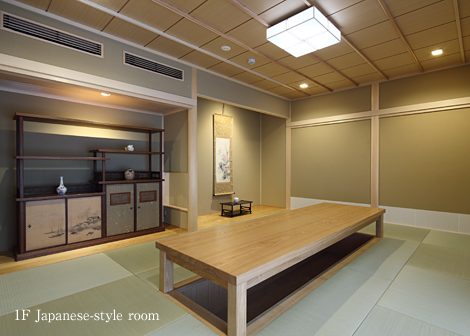 When more than 3 people will stay, we will prepare 1 or 2 Japanese futons on the floor in the Japanese tatami room. 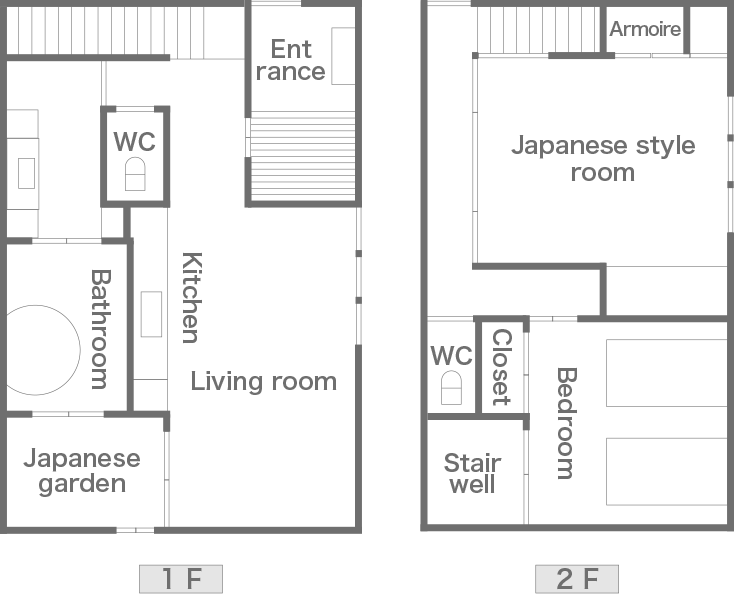 For the rooms OIKE and OYAMA, the bed room is on 2nd floor, futons will be prepared on 1st floor in the Japanese tatami room. So, please note that if your party has more than 3 people, the place where you sleep will be separated. Equipment is not allowed out of the room.If any equipment is damaged we kindly ask that you need compensate regardless of rather it was intentional or by negligence. Thank you very much for your understanding. We prepare a small gift (ex, sparkling wine, Japanese sweets, or etc.) when you made reservation directly from our homepage. Please check out dinner inclusive plans as well. Please call (Tel: +81-75-821-1112) if you have any inquiries or send from inquiry page. Reservation cannot be made on inquiry page. We would like you to enjoy and have a special moment in Kyoto. Our recommended restaurants and sightseeing area can be found on our Blog page. Please visit our blog pages in English and Japanese. We received Kyo-Machiya Award in the Kyoto Townscape Awards! Kyo-yado USAGI was officially commended by given credit for an achievement which we renewal and use Kyo-Machiya, the historical and cultural symbol of Kyoto, to contribute to make Kyoto townscape beautiful and dignity.